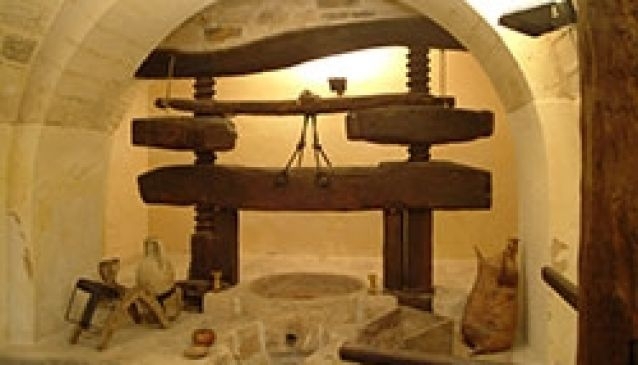 The Oil Museum displays an olive press of 1614, a grinding stone jar, oil measuring instruments and hundreds of different tools and furnishings - everyday objects and ingenious devices: a typical oil container, a hydro-mechanical press of the early twentieth century, tin jars, cruets, a rotary tiller in iron, an iron plow with coulter tip, vintage baskets, iron scissors for pruning, a hacksaw and a hand drill, classic lights of Sicilian carts, bummuli (sort of pitchers for containment of liquids), and funnels. The Museo dell'Olio activates the visitors imagination and helps him to mentally reconstruct the process of olive oil making in the past. An imaginary world seems to materialize. Afterwards you should visit a modern oil mill in Chiaramonte Gulfi to get the whole picture.